Add your wedding/event date through check out to automatically schedule your order in to be posted out 4 weeks prior to your special day/event. This ensures you will recieve your order well before it is required and in perfect condition. For orders intended to be used within 4 weeks will be posted out within 2-3 days. Express orders will be posted out within 1 day. Welcome...to the home of beautiful freeze dried rose petals, wedding decorations, wedding rose petal confetti and romantic products! 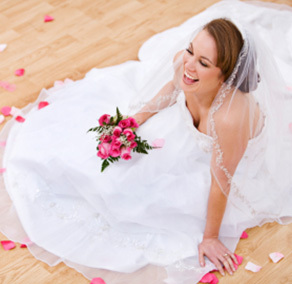 Our rose petals will transform your wedding with gorgeous color, an amazing wedding aisle, devine flower girl baskets, gorgeous petal confetti, romantic ideas for proposals and date nights to impress plus so much more. 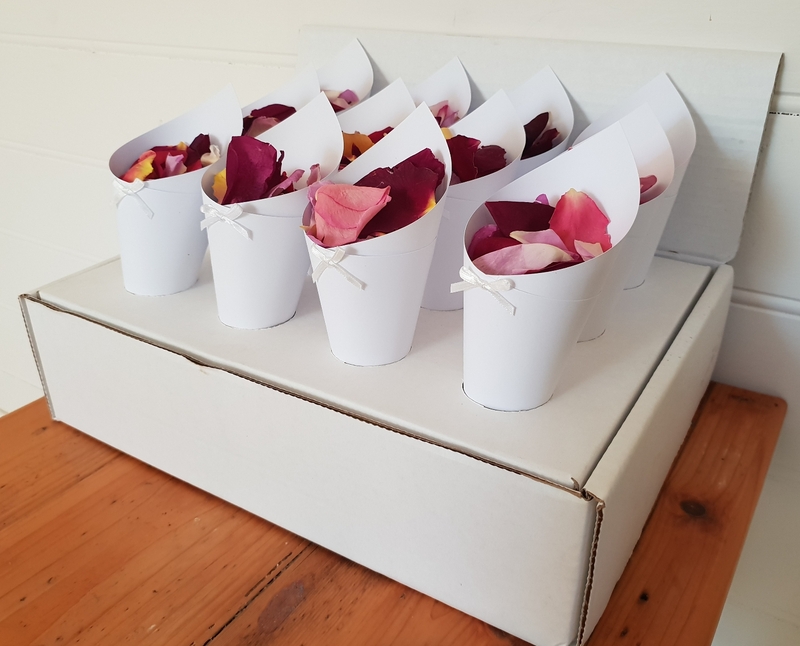 Our roses are grown on site at our 70acre property at the foot of Mt Franklin, Vic in a range of gorgeous colors.. so there is a color for every occasion and color theme. Make your own mix to suit your desired look! For over a decade we have worked hard and focused on products that are of high quality at reasonable prices which can be used at any occasion to add a splash of color and to set the mood of romance and celebration. 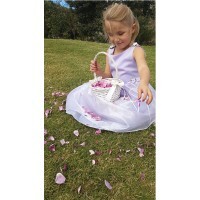 Flower Girl Basket with 4Cups of Freeze Dried Rose Petals $38.90 incl postage Au wide. Dont forget to check out our specials! NEW! 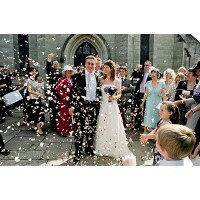 Our own specially designed Confetti Cone Stands now available! 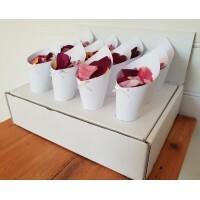 Pack includes..12 Throwing Cones, 12 cups of Freeze Dried Rose Petals, Display Stand and Postage Australia wide. 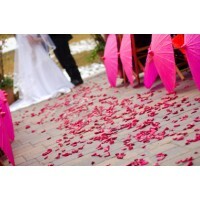 Choose your Throwing Cone color, bow color and Freeze Dried Rose Petal color(s) to suit your style and color theme!